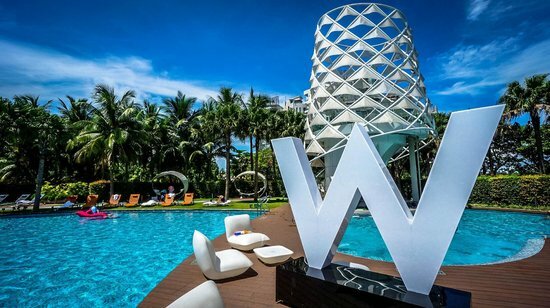 The W’s pool may look gorgeous, but under that gorgeous facade is a geeky brain. The hotel installed underwater speakers that broadcast music to submerged swimmers. Storing luggage at New York City’s Yotel requires making a friend. With a robot. When you’re ready for that pair of running shoes, a pin code unlocks the bag and sends it your way. Tech standards are high in Cupertino, the home of Apple. 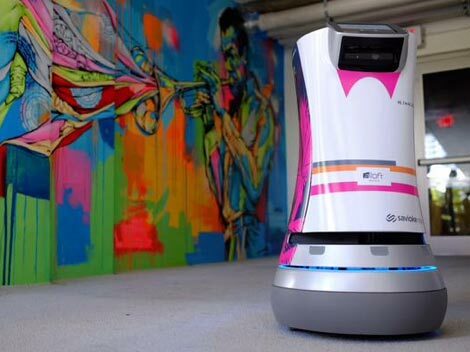 Aloft rose to the occasion with robotic butlers that complete an array of activities, including handing out towels by the pool. The beds at this hotel, in the heart of China’s innovation center, are more akin to rooms on a spaceship. 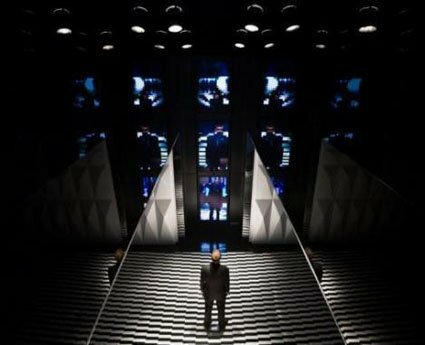 When you’re not tucked away in your capsule, you’ll be interacting with robotic housekeepers and doormen. Welcome to the Blow Up Hall 5050. You won’t need to check in here. Instead, just take the iPhone provided to you to unlock your door. No wonder the entire hotel has been called a digital art installation. 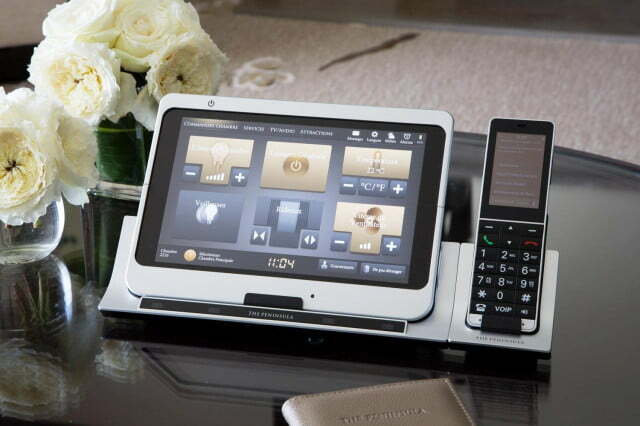 Staying at the Peninsula puts you in charge of mission control. Of your room, that is. Their command center controls everything from your television to the temperature and even the opening of your drapes. Leave it to SIlicon Valley to disrupt the hotel wine business. 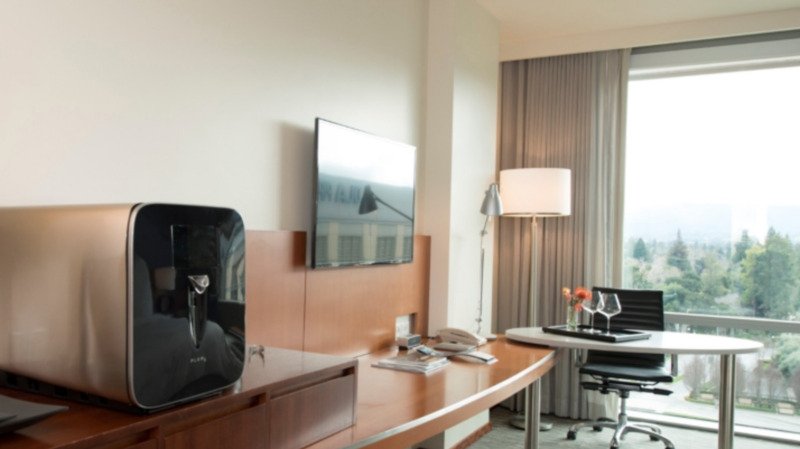 The Four Seasons in Palo Alto has installed machines that offer in-room wine by the glass. Berlin’s NH Collection hotel has officially made it to the future. 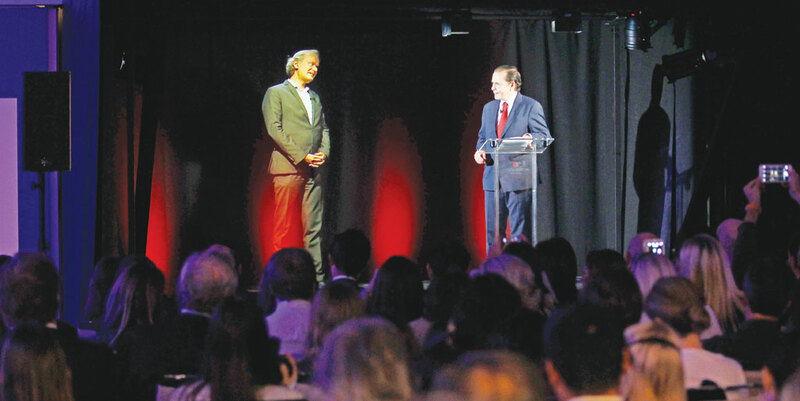 Business travelers can use its hologram technology to teleconference with colleagues. Mic, dropped.